Saturday, October 8 from 3 to 5 p.m.
Picasso and Pie will be served. We invite you to read the full story that inspired Picasso and Pie here. 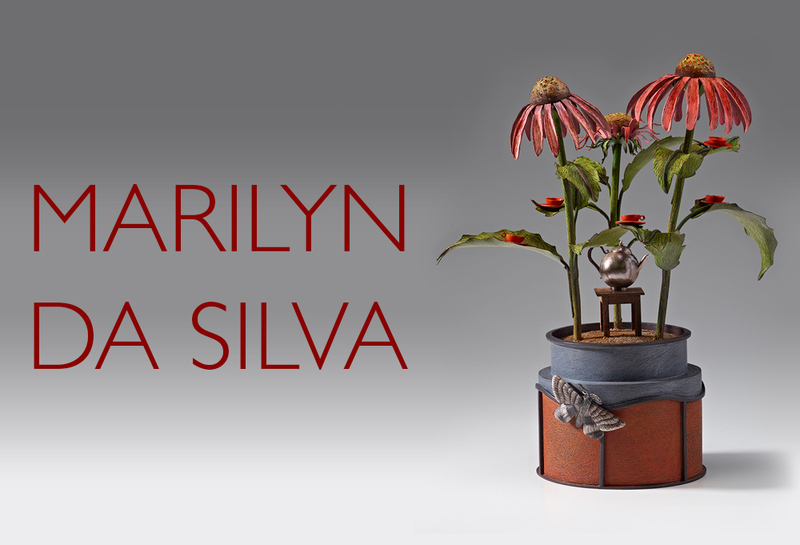 Master metalsmith, Marilyn da Silva, fabricates exquisite narrative sculptures in metal with hand-colored surfaces. Da Silva began experimenting with colored surfaces in graduate school at Indiana University with renowned metalsmith Alma Eikerman- discovering she could create rich surfaces and have complete control of color by layering colored pencil onto pigmented gesso. She pioneered this technique in 1987, and it has since become her signature style. 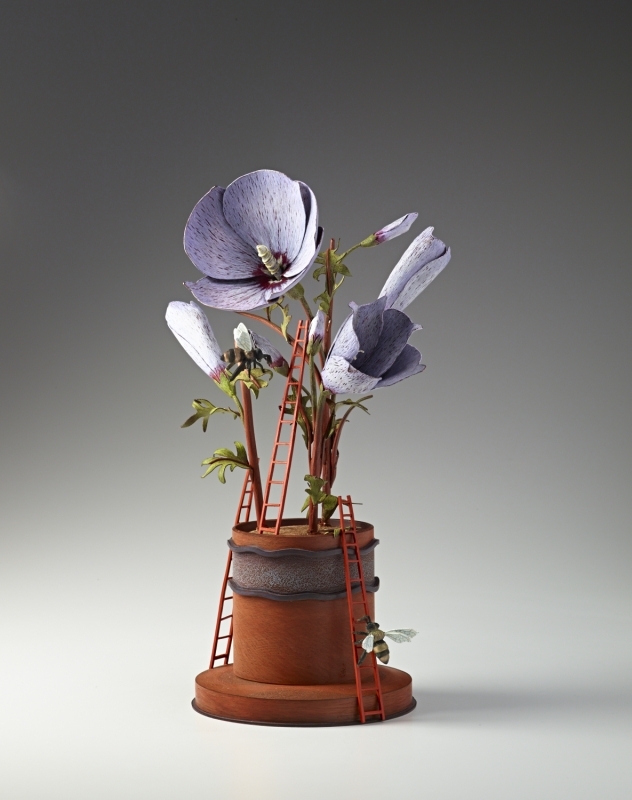 An expert fabricator, da Silva, incorporates a myriad of metal techniques in each sculpture including forming, fabrication, chasing and etching using copper, bronze or sterling silver. 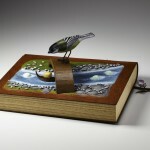 The Quiet series is da Silva’s most recent collection of narrative sculptures. 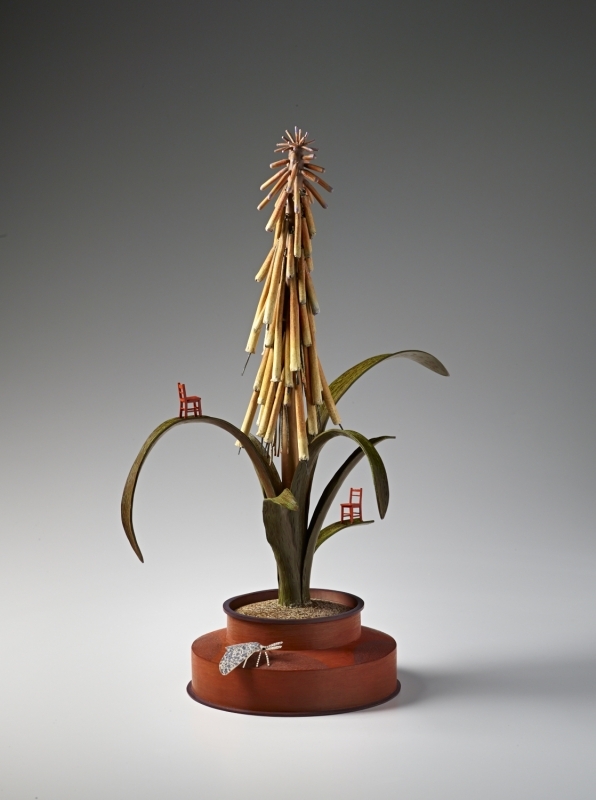 The recipient of many honors and awards, da Silva’s work is held in many private and public collections including The National Gallery of Australia and The Museum of Modern Art in Seoul. She is currently Professor and Department Chair of Jewelry/Metal Arts at the California College of the Arts where she has taught since 1987. There are many examples of ‘quiet’ in nature. It could be a flower opening from a bud, a moth silently flying through the air, or a leaf gently floating to the ground. ‘Quiet’ should never be taken for granted. There are times when we relish it and other times when we dread it. But if it is taken away forever, it will be missed. My series “Quiet I-III” and “Delicate Balance I-II” focus on the beauty and tranquility of flowers and their importance in our environment. 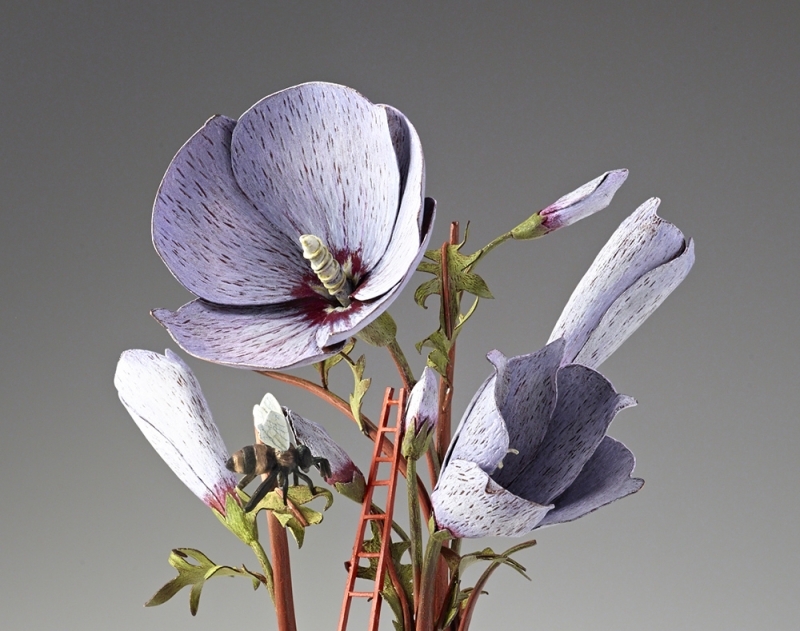 Each sculpture includes endangered insects as a reminder of the delicate balance in nature and the effects of our ever-changing world.